Hey there reader! Want to use email marketing for your business but confused which software to buy? Found Campaigner software too cool for your requirements but too hot for the pocket? Well, you are in the right place then! After reading this blog, you will be able to find cost-effective Campaigner Alternatives for your email list. Trusted by over a hundred thousands businesses, Campaigner is rightfully the ruler of email marketing as it has 24*7 customer support, segmentation, localization, and A/B Testing. However, there are some glaring reasons not to buy it. Apart from being exorbitantly priced, the themes are limited and usage is not user-friendly. Thankfully, we have many campaigner alternatives. Yes, now with our handpicked alternatives, you can run away from Campaigner. With these, you can do the most effective email marketing. As email marketing software is the best friend of all businesses- old and new. Not only it helps in getting analytics on every email that you send, but also, it provides real-time Return On Investment. Therefore, for every $1 you invest, the returns for email marketing average around $38 to $40. Isn’t that awesome? In fact, with the affordable email marketing software that we have to offer, you’ll be able to yield even higher returns. 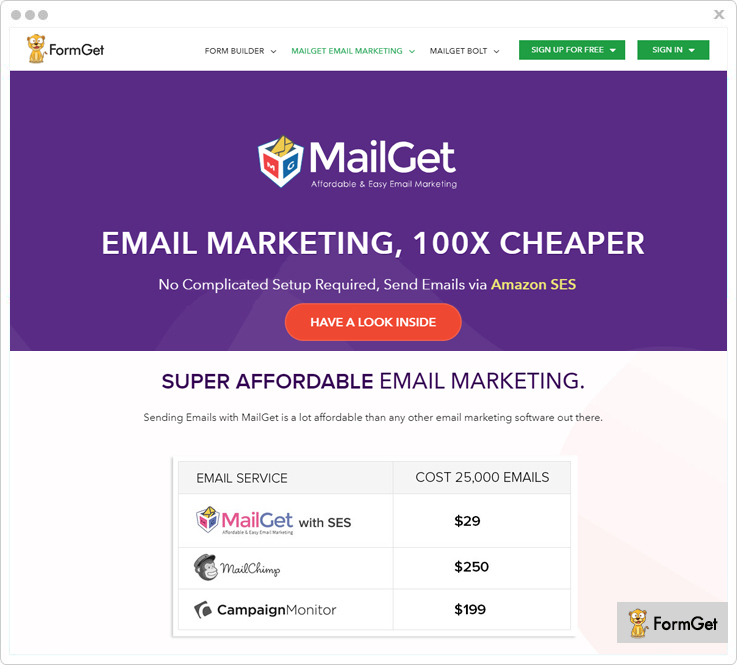 MailGet Bolt is one of the best Campaigner Alternatives as it has an accessible setup, extremely low pricing plans and a wide array of features. It is a complete package to create, send and track all your email templates. The most remarkable feature is that it has an inbuilt SMTP for sending emails. So, you do not have to get into the hassles of complicated SMTP set-up. Furthermore, it has a beginner friendly UI so, you hardly have to dedicate a few seconds to get started with it. Also, it has an exemplary feature of email list verification which helps you in maintaining the hygiene of your email list. Not to forget, it is very practical for importing and exporting contact list. Drip Emailing: MailGet Bolt lets you create an automated series of drip emails which you can schedule as per your choice. List Segmentation: It has an advanced list segmentation feature. Using this, you can segregate your contact list on the basis of different parameters like geolocation, follow-up list and more. Email Scheduling: It helps you to schedule your emails when your targeted audience is most likely to be interested. User- friendly Drag and Drop Builder: Now, MailGet Bolt has a user-friendly drag and drop builder which lets you create your email templates in a breeze. The price of the starter pack is $9/mo for 2,500 subscribers. The rookie pack is priced at $19 for a month for 5,000 subscriber list. It also has a free trial for a month where you can send 300 emails per day. The pricing goes up to $49/mo for a 15,000 strong subscriber list. Do you know emails with high open rates are personal, relevant, and time scheduled? With MailGet, one can tick-mark all these categories for every subscriber. 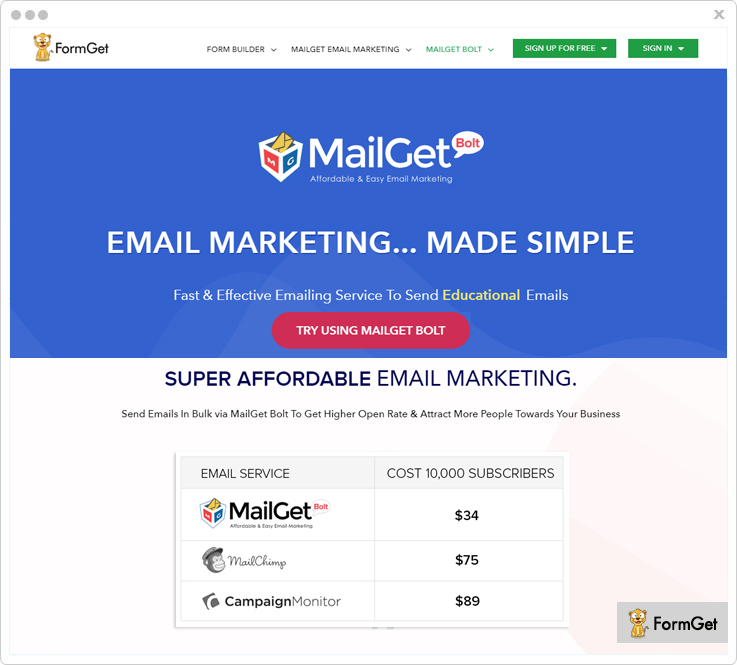 MailGet is emerging as the most powerful email marketing platform in recent times. It is one of the most affordable services in the email marketing segment and has won the trust of thousands of big business giants like Cisco, Avaya, Iskon and a lot more. 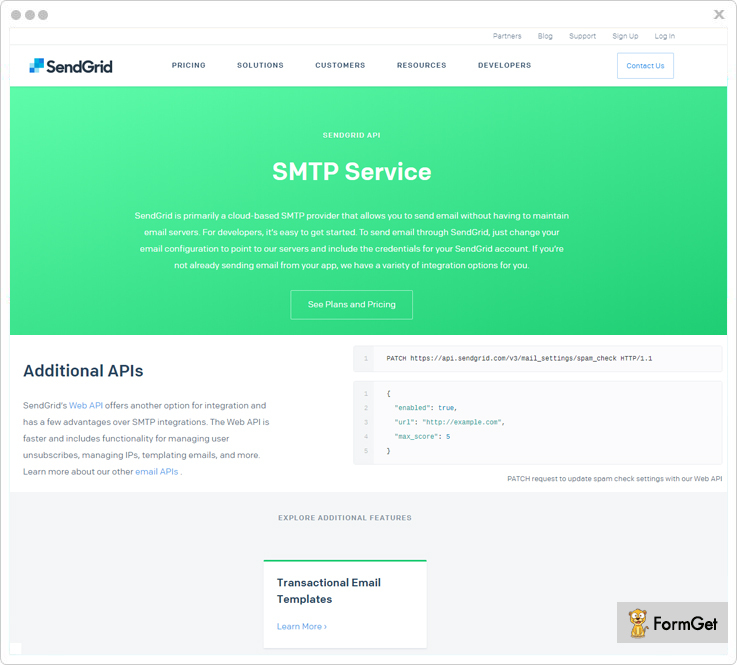 You can use it for creating and sending your email templates using multiple SMTPs. And finally, tracking each detail of every sent email templates is one of the most noteworthy features of MailGet. 2X Open Rate: One can send automatic follow-up email even to non-opens and therefore, double the chances of email-open rate. Autoresponder – MailGet has got an autoresponder feature using which you can send automated replies on various actions of the contacts and users. Drag and Drop Email Builder: The inbuilt email builder lets you easily design emails with the drag and drop feature. It is very simple and user-friendly. Enhance Lead Capture: You can capture more email leads with in-built lead capture tool. Sending emails with MailGet is very affordable. The starter pack is priced at $5/mo for 5,000 subscriber list. The highest advance pack is priced at $672/mo for a gigantic 1,000,000 subscriber list. The price of sending 25,000 emails is just $29/mo. Compare yourself the striking rate differences of MailGet with MailChimp for 25,000 subscriber email base in the pic above. This is an incredible email solution for fast-moving teams. Significantly, it is a perfect solution for companies with large email requirements. A minimalistic user interface is so user-friendly that even a beginner can start their email marketing campaign from scratch. Basically, you just need to follow the navigation cues on their dashboard. Also, one feature that needs to be highlighted is that you can easily launch opt-in campaigns. This helps you increase and generate leads and create better CTA (Call To Action) offers. Further, it offers subscription forms which you can add to your website. Hence, you can quickly capture leads from the website. Collaboration Toolkit: It lets you work faster on your emails as all the tools are easy to locate and use. SMTP Server: It integrates easily with any system and scales with the volume requirements. A/B tests: It allows you to test the sender’s name, subject, content, and design of the email. This feature makes your business more competitive! Email Tracking: You can track email clicks and opens easily for all your business campaigns. The free trial pack gives you 200 emails/day. The basic pack with essential features is priced at $8.04/mo for 30,000 emails whereas the premium pack with advanced features is priced at $14.96 for 30,000 email list. The enterprise plan gives you an opportunity to request a quotation based on your requirements. 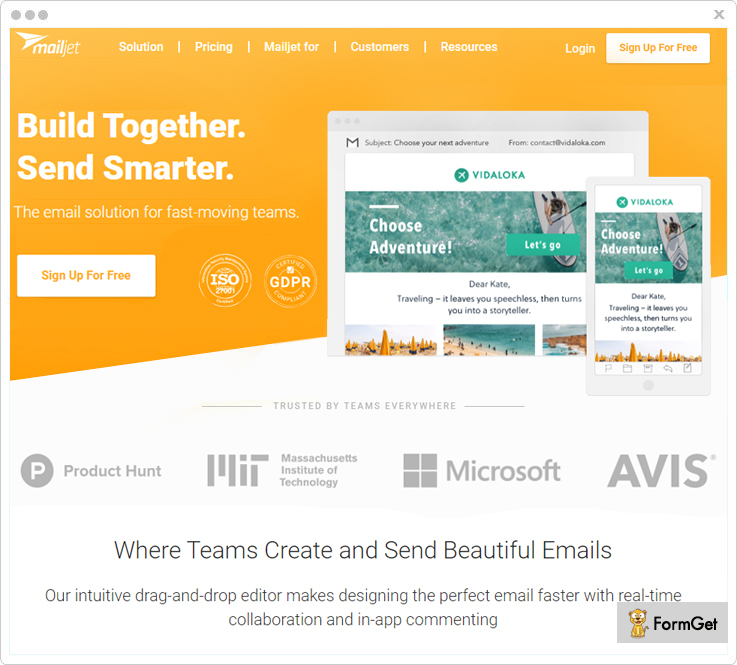 SendGrid is world’s largest cloud-based email marketing software. With a customer base of over 50,000 businesses, it provides manageable email infrastructure. Furthermore, it has an innovative campaign builder that mirrors the workflow of your preference. SendGrid is “One Stop Email Solution”. Hence, you don’t have to manage a separate marketing database and transactional email service. After designing your first campaign, you can easily duplicate it. In other words, you need not build each campaign from scratch. Consequently, this saves time and increases efficiency. Top notch Deliverability: Email Infrastructure, domain authentication, and proactive ISP outreach ensure you an optimal inbox delivery. Customizable Analytics: SendGrid reports are custom-made on the basis of timeframe, email category, ISP, geography, and device type. Email Infrastructure: IP address setup is optimized for monthly sending volume. Fully-dedicated IPs are also provided for Pro and above plans. Global Support: 24/7 dedicated customer support ready to answer any and every question. 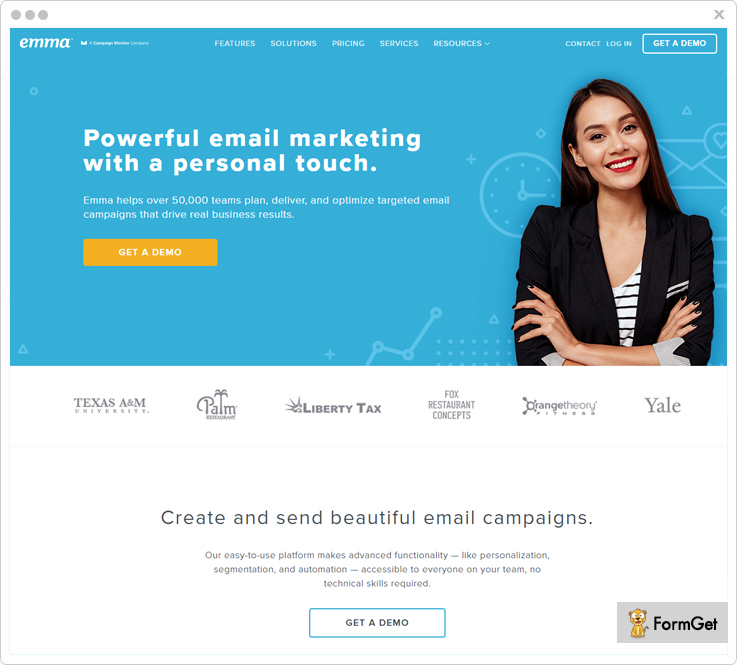 “Powerful email marketing with a personal touch”, Emma delivers targeted email campaigns for over 50,000 businesses. Their platform is very user-friendly and has numerous advanced functions such as— personalization, segmentation, and automation — which are accessible even to a beginner! Moreover, the business results or the stats on each of your email campaign can easily be measured with their custom analytics tool. Seamless Browsing Experience: Emma lets you design beautiful email invitations without any interruptions. With Emma’s marketing automation suite, you can turn your buyers into raving fans! Segmentation: Emma has the smartest and most intuitive segment builder in the game. The list segmentation tools make it easy to find the target audience. Easy-to-edit Templates: Emma’s easy-to-edit templates are a breeze to use and are a great way to start a mass mailing. Mailings View: When you login in, Emma gives you a snapshot of important information of your most recent campaign. It includes all the necessary information that you use to track your campaign (open rate, click rate). PRO Pack: For small businesses ready to do smarter email marketing, the PRO pack starts at $89 /mo having 10,000 contacts with an annual contract. Most popular Plan is the +PLUS Plan. For high-performing marketers, the plan starts at $369 /mo having 25,000 contacts with an annual contract. Want to make your email campaign a huge hit? VerticalResponse is there for you! It has all the features one may need for a successful campaign- an easy-to-use editor, automated follow-up emails, test kits, and surveys and many features. You can quickly change the look and feel of your email to perfectly reflect your brand. Furthermore, automate sending helps to properly time your emails. Besides, it also offers a non-profit program that allows you to send 10,000 non-profit emails for free. Landing Page Builder: No coding is required to use this amazing tool. Just select a template, customize and publish it. Advanced Reporting: It helps in easy monitoring of the performance with the help of open rates, clicks, devices, locations, etc. Autoresponders and Email Service: One can automatically send the emails on scheduled time based on your customers’ interactions with the previous emails. This leads to an increase in customer engagement levels. Custom Survey: You can easily conduct surveys and collect actionable insights in real time. You can send 4,000 emails per month to up to 300 contacts for free. Businesses that need to send unlimited emails can purchase the Basic Plan at $11 /mo. Pro and Pro+ packs are priced at $16/mo and $196/mo respectively. The latter provides you with an experts’ team to help you in the successful running of your campaign. StreamSend has beautiful templates that can be optimized from computer monitors to tablets to mobile devices. One feature that makes it stand out is its “Pause-Emails” facility. Part of the service also includes being able to “pause” the monthly service during months when you aren’t planning to send any emails for a very low monthly fee. Pre-made templates: Want to edge over your competitors? 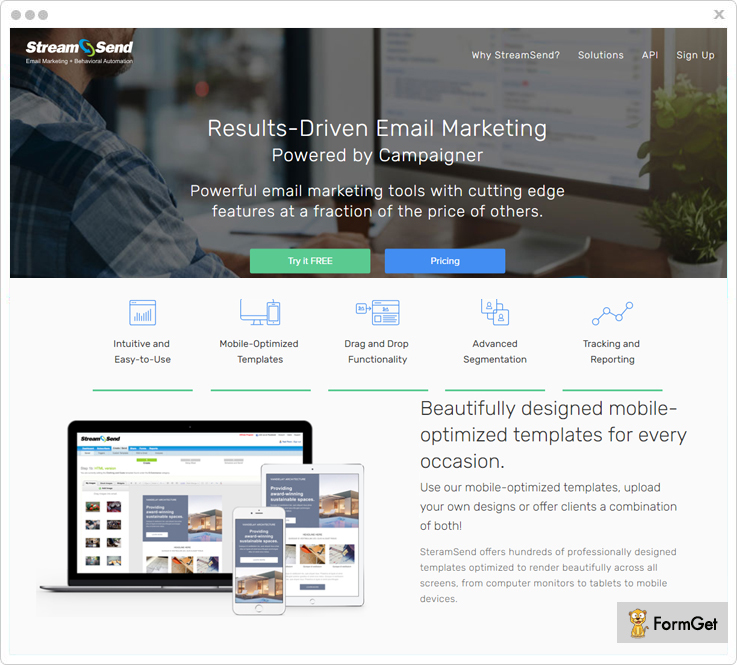 StreamSend offers over 900+ interactive email templates and a fully featured email editor to design a perfect template for your subscribers. Bulletproof Delivery: You can easily reach the subscriber’s inbox no matter what type of service they use! Undoubtedly, it is one of the best parts of using this Email Software. Dynamic Content: Giving a personal touch to your content with relevant elements is a powerful feature of StreamSend. Seamless Integration with Technological Platforms: There is no need to switch from existing solutions such as CRM, POS, CMS, or e-commerce platform. The basic plan is for $19.95/month for 1,000 Contact list. More details can be found by contacting their sales team. dotmailer is an informatics based marketing software that is built by marketers, for marketers. It helps to build and send well- written, personalized messages to multiple channels and applications within a flick of a second. Additionally, the interface design is more organized and hence proves a great Campaigner alternative. Furthermore, the drag and drop feature used for email building is manageable and practical. You can easily find what you’re looking for while navigating their dashboard. Easy- to- use software: dotmailer gives wings to your imagination. It is so easy to use that advanced marketing tasks become a cakewalk. 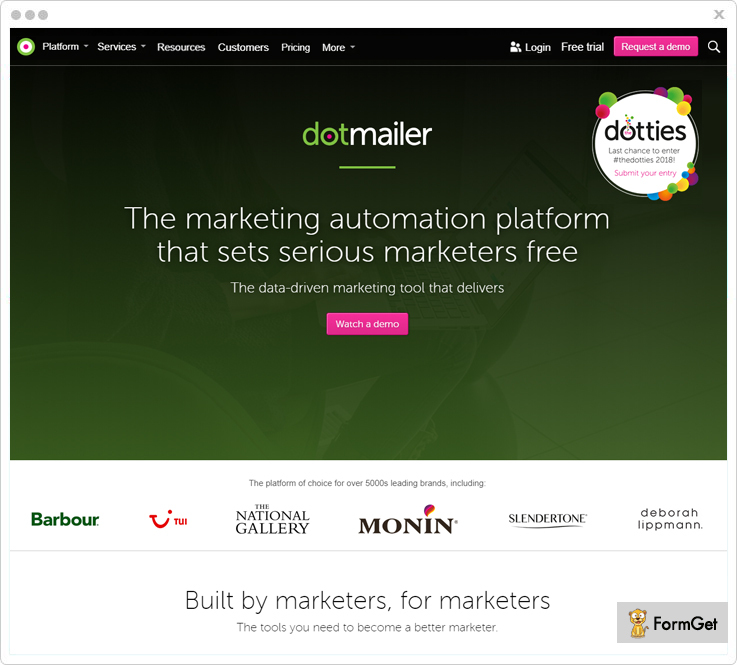 E-commerce marketing automation: dotmailer gives all the tools and flexibility one needs to become a smart e-commerce marketer. Best of breed marketing: Ever thought of building your own marketing cloud? dotmailer does the work for you and works with other best-of-breed platforms to helps you build one. World-class integrations: Single sign-on is feasible and fully integrated. For pricing details, you need to contact their sales team. How about sending emails based on your subscriber’s favorite activity. Moosend’s innovative automation editor lets you set up automated workflows from one participant to another. Also, you can send triggered campaigns based on your subscribers’ behavior. Advanced List: Want to develop communication with your subscriber? Segmentation is the key tool to use. Moosend’s advanced list segmentation leads to an increase in open rates. Analytics: With the specially designed link analytics tool, you can easily get strategic insights on the emails sent. It will help you increase Click-through-rate effortlessly. 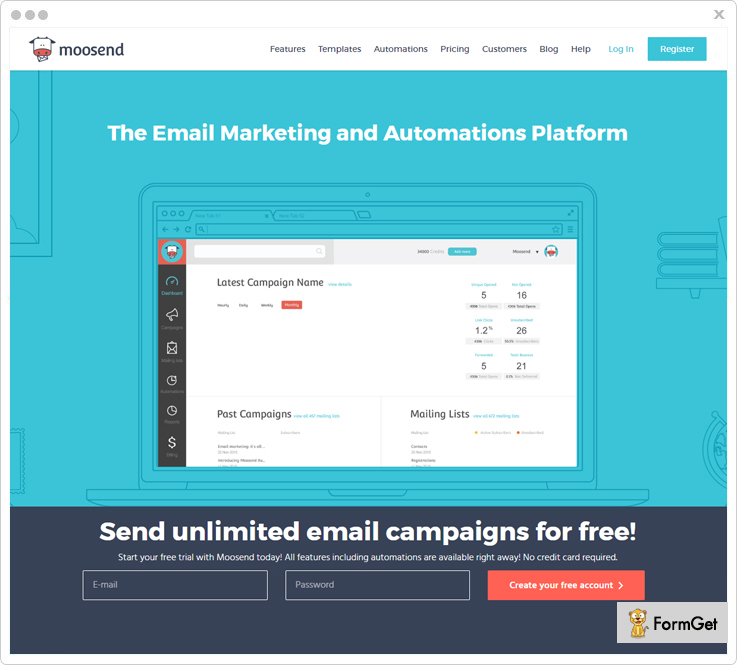 Email Automation: Moosend’s automated workflows will turn your prospects into returning buyers and help you augment your ROI. Integrations: Moosend offers a professional SMTP service with which you can integrate their platform with other applications of your choice. The Free- Trial includes up to 5,000 subscribers and unlimited emails/month for 3 months. Another pack is for 5,001 – 10,000 subscribers at 55$/mo having unlimited emails. The highest pack has 10,001-25,000 subscribers at 125$/mo having unlimited emails. New to digital marketing for your brand? SendinBlue is an email marketing platform that lets you customize unique emails. You can personalize emails with your contacts’ details and preferences for a hike in communication and open-rates. Moreover, it is not just for creating, sending and tracking emails but with its own SMTP server, it makes sure that each email that you’ve sent, hits the inbox of the subscriber! Campaign Tools: SendinBlue’s campaign layouts are super easy to use. They allow us to design emails that can greatly improve the sales performance. Contact Management: You can easily import, custom, search and segregate your subscriber list with this feature. Social Sharing: Wondering how to engage your followers? Just one click and all your content is shared on Facebook, Twitter, and LinkedIn. For other platforms, you can copy and paste the link. Dynamic Personalization: Grab the attention of your prospects by addressing them with their names! With this feature of SendinBlue, you can insert name, title, order dates etc. 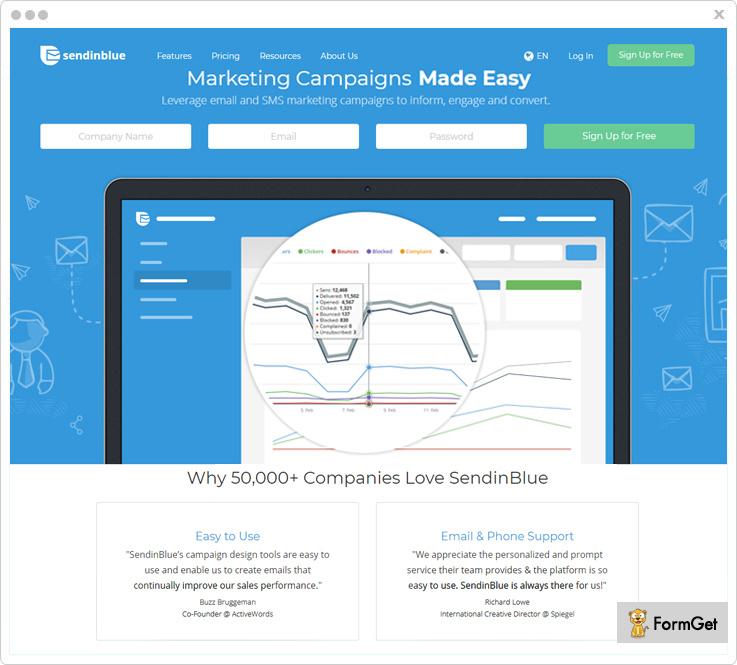 FREE Pack: Getting started with SendinBlue having 300 emails/day for $0/mo. LITE Pack: Perfect for new marketers having 40,000 emails/mo for $25/mo. 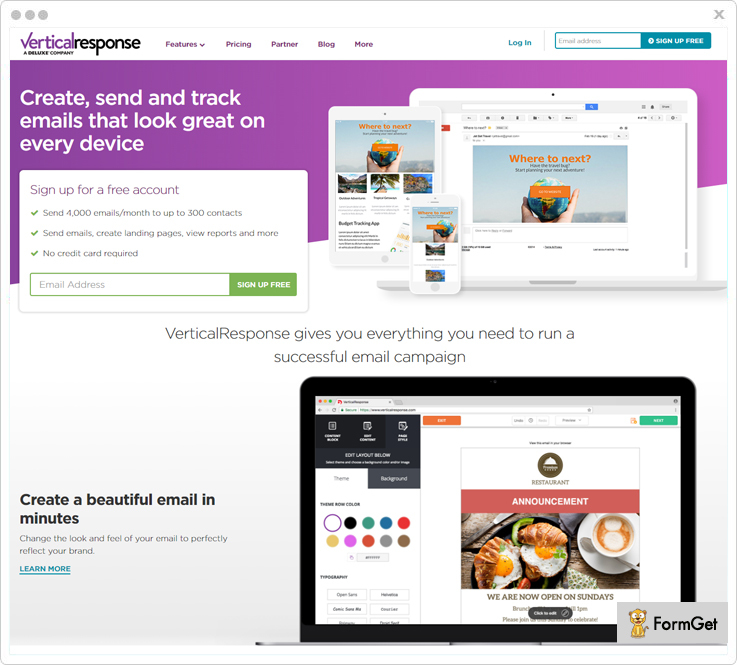 PREMIUM Pack: The best solution for marketing pros having 12,000 emails/mo for $66/mo. To wrap it up, sending personalized emails has become an inevitable marketing strategy nowadays. It helps you get an edge over your competitors. Though Campaigner Email has seized the market, it is very difficult to use. We hope you found our list of Campaigner Alternatives concise and informative. Which alternative did you like the best? Do share your reasons and let other readers know about it. Never forget, Sharing is Caring!